What is the ITR-3 Form? What is the structure of the ITR-3 Form for AY 2018-19? How do I file my ITR-3 Form? What is the structure of the ITR-3 Form for AY 2017-18? What is the ITR-3 Form For AY 2016-17? Who can file their income tax return on ITR-3 for AY 2016-17? Who cannot file their income tax return on ITR-3? What is the structure of the ITR-3 Form? How do I fill out the ITR-3 Form? How to fill out the verification document? 1. What is the ITR-3 Form? 2. 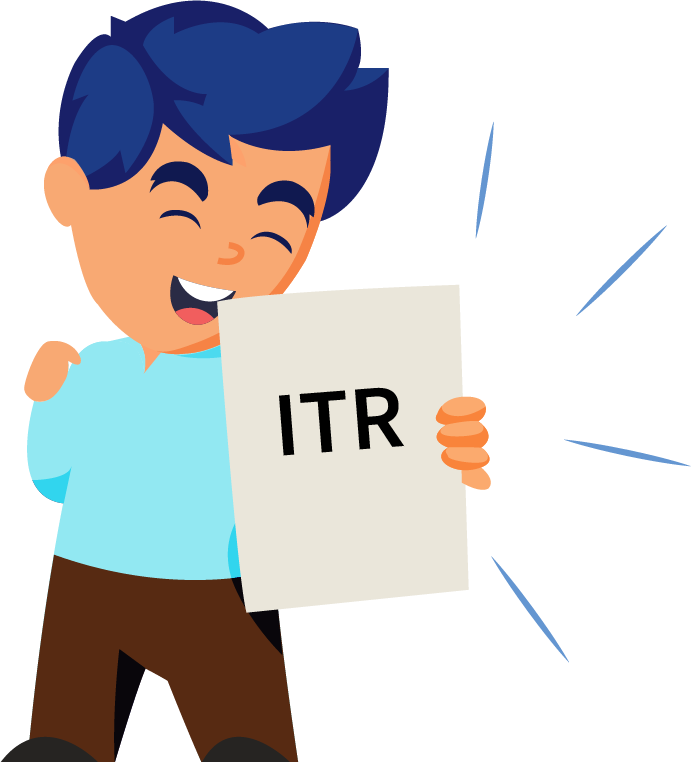 What is the structure of the ITR-3 Form for AY 2018-19? After this, there are the following schedules. Schedule SPI: Statement of income arising to spouse/ minor child/ son’s wife or any other person or association of persons to be included in the income of the assessee in Schedules-HP, BP, CG and OS. 3. How do I file my ITR-3 Form? Individuals having income less than Rs 5 lakhs and who do not have to claim a refund in the income tax return. If you submit your ITR-3 Form electronically under digital signature, the acknowledgement will be sent to your registered email id. You can also choose to download it manually from the income tax website. You are then required to sign it and send it to the Income Tax Department’s CPC office in Bangalore within 120 days of e-filing. Remember that ITR-3 is an annexure-less form i.e. you do not have to attach any documents when you send it. We have a guide to help you print and send your ITR-V to the CPC office. In the general information tab, an option to select section 115H (who is a non-resident Indian in any previous year, becomes assessable as a resident in India in respect of the total income of any subsequent year) has been added. Schedule SPI: Statement of income arising to spouse/ minor child/ son’s wife or any other person or association of persons to be included in the income of assessee in Schedules-HP, BP, CG and OS. 6. What is the structure of the ITR-3 Form for AY 2017-18? A new column has been introduced in all ITR Forms to report on cash deposited by taxpayers in their bank accounts during the demonetization period, i.e., from November 9, 2016, to December 30, 2016. However, the taxpayer is required to fill up this column only if they have deposited Rs 2 lakh or more during the demonetization period. Now taxpayers are required to mention registration number of the firm of Chartered Accountant which has done the audit in ITR forms. As far as AY 2017-18 is concerned, the ITR 3 of AY 2016-17 has been discontinued and the ITR 4 of AY 2016-17 has been renumbered as ITR 3. This Income Tax Return is meant for individuals and HUFs having income from a proprietary business or profession. 8. What is the ITR-3 Form For AY 2016-17? where income chargeable to income-tax under the head “Profits or gains of business or profession” does not include any income except the income by way of any interest, salary, bonus, commission or remuneration, due to, or received by him from such firm. In case a partner in the firm does not have any income from the firm by way of interest, salary, etc. and has only exempt income by way of share in the profit of the firm, the assessee shall use this form only; not Form ITR-2. Click here to download the latest ITR-3 form from the Income Tax Department. Do note that the final form for AY 2015-16 has not yet been released by the I-T department. 9. Who can file their income tax return on ITR-3 for AY 2016-17? This Return Form should not be used by an individual whose total income for the AY 2015-16 includes Income from Business or Profession under any proprietorship. Not sure which IR form you need to use? Read our guide for help. ClearTax automatically selects the right ITR Form for you Not sure what ITR form to pick? Our software automatically picks it when you e-file. 10. Who cannot file their income tax return on ITR-3? Part B – Outline of the total income and tax computation with respect to income chargeable to tax. Schedule-AL: Statement of your Asset and Liability at the end of the year. It is mandatory if your total income exceeds Rs.25 lakhs. 11. What is the structure of the ITR-3 Form? If any schedule is not applicable score across as “—NA—“. If any item is inapplicable, write “NA” against that item. Write “Nil” to denote nil figures. Except as provided in the form, for a negative figure/ figure of loss, write “-” before such figure. All figures should be rounded off to the nearest one rupee. However, the figures for total income/ loss and tax payable be finally rounded off to the nearest multiple of ten rupees. The sequence for filling out parts and schedules The Income Tax Department advises assesses to follow the sequence mentioned below while filling out the income tax return. The ClearTax software automatically selects your ITR form. E-file without worries. 12. How do I fill out the ITR-3 Form? When the return is filed online, the assessee should print out two copies of ITR-V Form. One copy of ITR-V, duly signed by the assessee, has to be sent by ordinary post to Post Bag No. 1, Electronic City Office, Bengaluru–560100 (Karnataka). The other copy may be retained by the assessee for his record. Note that when the return filed on paper, the acknowledgement slip attached with the return form should be duly filled. When are you required to file electronically? A resident assessee having any assets (including financial interest in any entity) located outside India or signing authority in any account located outside India, shall fill out schedule FA and furnish the return electronically. From AY 2013-14 onwards, assessees having a total income of more than 5 lakh rupees are required to furnish the return electronically. Assesses claiming relief under section 90, 90A or 91 to whom Schedule FSI and Schedule TR to apply. No annexures required No documents (including TDS certificate) are needed to be attached with this return form. 13. How to fill out the verification document? In case the return is to be furnished in a paper format or electronically under digital signature or in a bar-coded return format, please fill up the required information in the Verification Form. Please ensure that the verification has been signed before furnishing the return. Write the designation of the person signing the return. If the return is filed electronically, please fill out ITR-V. Please note that any person making a false statement in the return or in any of the accompanying schedules shall be liable to be prosecuted under section 277 of the Income-tax Act, 1961 and on conviction be punishable under that section with rigorous imprisonment and with fine.